Understand the number of users in your app, their characteristics, and where they come from. Measure what actions your users are taking. Measure in-app payments and revenue. Customize reports specific to your business. Leverage Google Analytics data in other Google products. Learn more about how to measure with Google Analytics by looking at our Mobile App Implementation Guide. 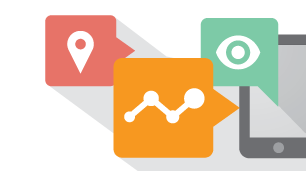 Get started with the Google Analytics SDK for Android. Get started with the Google Analytics SDK for iOS. Send data using the Measurement Protocol. Learn how to use Google Analytics to measure user interactions and answer questions about app usage. Learn how to test a Google Play Campaign Measurement implementation before publishing your application to Google Play. Last updated April 27, 2015.